As my 45 class members piled into this tiny Rasta shop in Toronto, “Look at all the white people!” was how we were greeted by the proprietor’s friend, a visitor from Jamaica staring at us with a mile-wide grin and eyes large as saucers. We had come to learn about Rastafari from the Rasta elder who runs the store. The shop is vintage Rasta – bursting with religious books, reggae music, large flags and T-shirts sporting Haile Selassie or Marcus Garvey, and a small food bar serving Ital (vegetarian food adhering to Rasta dietary codes). We had come not to buy, but to have a Rasta “reasoning,” with Natty, our host. Natty may run a store, but he’s a preacher by nature, rattling off Bible verses that show Haile Selassie was the Christ, all with an infectious energy and passion that cannot help but impress. We weren’t all white of course, but on average we were lighter toned and far more numerous than the shop’s usual clientele. As we wrapped up, my folks wanted pictures with our hosts (as they often do), but the Jamaican friend surprised me again. He wanted our picture to take back to Jamaica because “no one back home will believe this!” That was kind of cool – that this Toronto interfaith program required visual evidence to be believed. 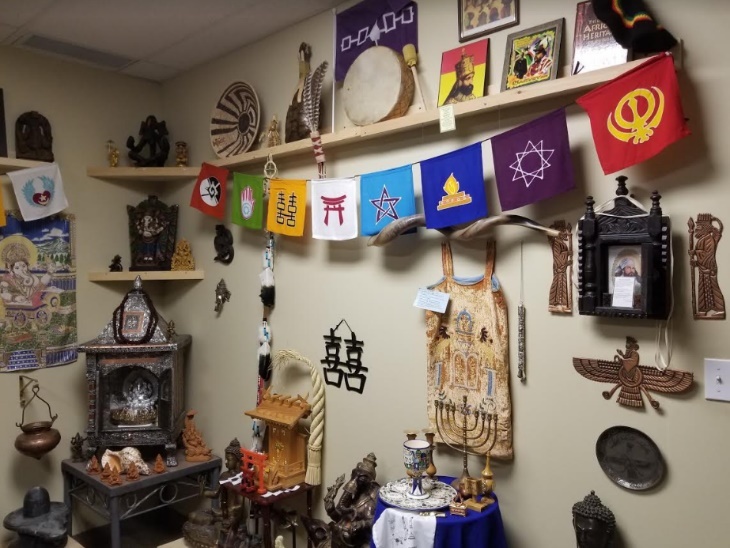 The Encounter World Religions Centre was founded to facilitate just these types of interactions by bringing people into spaces and social interactions that go beyond their ordinary lives. 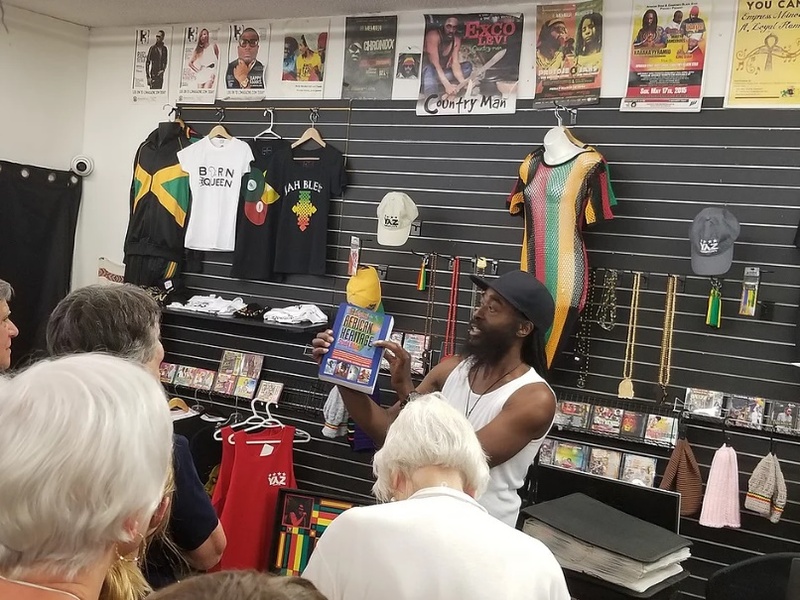 The Centre promotes religious literacy by combining (whenever possible) classroom learning with rich experiential opportunities at sites of worship (or sometimes a Rasta shop). During the Discovery Week – our premier program – we explore eleven religions in a week filled with classes and site visits, the latter combining ritual, architecture, food, music, and dialogue with community leaders. For Judaism, we begin in class, learning how temple sacrifice gave way to Torah study, the emergence of monotheism, and how concepts like a messiah and an apocalypse developed. Then, we board a bus for two very different Jewish visits. We travel first to a Hasidic yeshiva, filled with teenage boys wearing black and white garments and studying Talmud 14 hours a day, seven days a week. We sit with the Hasidic rabbi and enjoy a lively hour of Q&A. Then we explore liberal Judaism by attending shabbat at Canada’s largest Reform congregation, including a kiddush meal and meeting with a community leader. Similarly, with Sikhism we start with an introductory class on its emergence in 16th century India, and then travel to the country’s largest gurdwara (temple) to enjoy a langar meal. We come in the evening to witness the dramatic Sukh Asan ritual when the scripture book is put to bed. By week’s end, we have also entered a rare Zoroastrian temple, joined a Wiccan circle on Sunday evening, and visited the most spectacular Hindu temples in Canada. It’s a banquet of people, learning, and experiences. Encounter’s motto is to teach religions through their people, places, practices, and philosophies. The pedagogical emphasis is that people are bodies and learn best by being physically present with others, with ritual, and with space. In turn, visits are richer when preceded by insightful classes and hence, Encounter has honed its lectures over many years to give an intellectual buffet, where the novice and the religiously educated can each be filled, though they may savor different take-aways. While we take pride in our classes, the experiential component is key. To understand Islam, a good class is valuable in explaining Muhammad’s life, the emergence of Sunni and Shi’a, and modern issues such as shariah. Almost as vital (yet often overlooked) is actually feeling a packed mosque at prayer. Hence, we attend the overflowing Friday congregational prayer where we also hear the weekly khutbah (sermon). Islamic prayer has a physical intimacy borne of proximity as people stand shoulder to shoulder (minus the buffer space created by sitting apart in churches, synagogues, or movie theaters). The synchronized bowing and intoning of prayers in such close quarters creates an aesthetic of piety and unison as integral to Islam as its five pillars. On a recent program of world religions, we paid great attention to aesthetics, noticing the mournfulness of the call to prayer, the joy of Jewish shabbat, and the sensory overflow of the Hindu mandir. 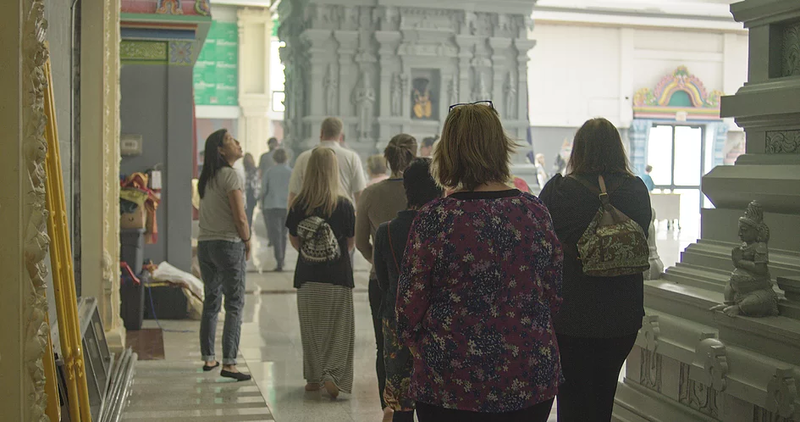 The Hindu visit was highlighted by an aarti ritual where we were splashed with water, moved our hands over flames, heard bells and conch shells, and saw flashing lights, large murtis (images), and piles of bananas deposited by devotees. Religions involve five senses, and while the distinctness of Islam versus Hinduism is partly doctrinal, part is Islam’s aesthetic of discipline and simplicity versus the celebratory surplus of Hindu practice. 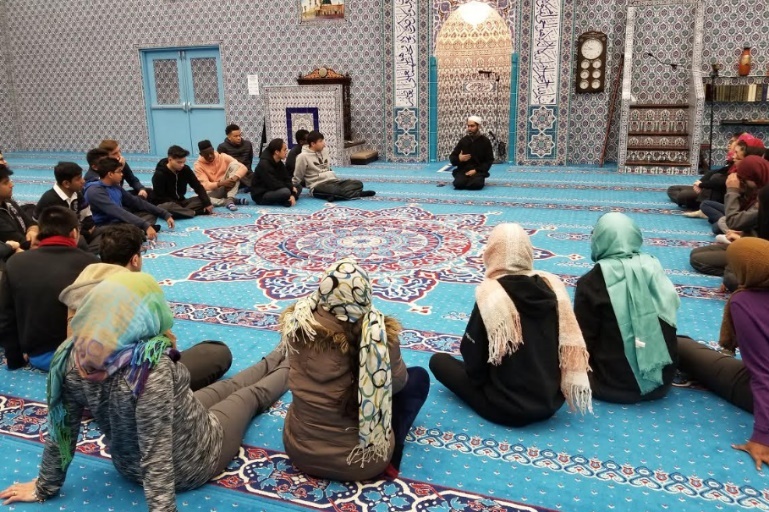 These programs rely on the hospitality of Toronto’s religious communities. Back in the mid-1980s, Encounter’s founder, JW Windland, began walking into Hindu and Zoroastrian temples out of simple curiosity. Visiting sites of worship is more common today but was unheard of then. Yet when this large white man with the southern American accent entered a Hindu temple in Toronto, rather than turning him away, they invited him in. He asked questions, they explained, and, most stunningly, he returned a second and third time. Soon, he became known and formed new friendships. And so, when JW asked to bring others to these places of worship, they welcomed this unusual request. Although JW died in 2014, he passed these relationships down. Hence, we find open doors, invitations to join rituals, and religious leaders who generously offer their time. 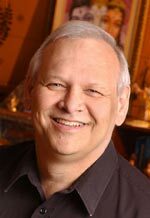 Canada’s most successful megachurch pastor recently spent 40 minutes of Q&A with us on a Sunday despite the visible fatigue of having delivered his third sermon that day. The mosque welcoming us to Friday prayer shows great trust and vulnerability by including us during their most sacred weekly event. And the Wiccans, whom we have visited for 20 years, welcome us into their ritual even when our group size somewhat dwarfs their own community (in fact, their priesthood members vie to lead the service when we’re coming). These efforts reflect a simple truth JW taught me long ago – everyone wants to tell their story. As much as we appreciate our hosts, they appreciate our attendees coming to learn from them, and not simply learn about them via cable news. After one police officer came, there was soon a second, and this past year, several officers spanning four different Ontario forces attended. More importantly, the Ontario Provincial Police, a large 10,000 personnel force, invited Encounter to speak at their headquarters and has plans for bi-monthly talks on different religions to be beamed to their satellite offices. School teachers attending the Discovery Week invite Encounter to their classrooms. Sometimes we present Religion in 3D, teaching religion tactilely, using statues, clothing, musical instruments, and ritual implements. Other schools have us organize field trips consisting of three houses of worship in one day. Encounter reaches about 3,000 students annually and teachers report that these experiences inevitably highlight parent-teacher evenings, as parents recount how much their child loved visiting these diverse communities. Encounter has begun running teacher PD days, taking entire school staffs to houses of worship that their students often attend. For a student, this can change the sense of belonging when you learn that your teacher has visited your family’s Sikh gurdwara and knows what a langar meal is … because they ate one. Religion professors from Northern Ontario, Nebraska and Florida have all attended and followed up by sending/bringing students in future years, sometimes for customized programs. Other attendees have brought Encounter to Lifelong Learning groups to teach weekly series to the public on different traditions. These groups focus on educating the over-50 crowd. Encounter has had invitations to hospitals, seniors’ residences, and the Canadian military. Finally, one employee from a Chicago-based organ donor organization, fresh from the Discovery Week, asked Encounter to consult with their staff about organ donation from the perspective of different faith communities. It went so well that Encounter has now made four trips to different US states to consult with other organ donor organizations. More recently, a neat twist has emerged. For years, I primarily took the dominant majority (secular or Christian) to visit minority traditions. But times are changing. A mosque where I frequently bring people has a Muslim private school attached. After I got to know the principal, I asked if he would like me to take his students around. He agreed and so I have taken these Muslim private school students to visit a synagogue and a church the past two years. Additionally, a Buddhist temple we have visited for 20 years asked Encounter to bring their monks to visit a Hindu temple, a mosque, and a synagogue. The Chinese monks were impressed to find a Mandarin language Qur’an at the mosque and positively thrilled to hear the Jewish cantor chant from the Torah (monks, it turns out, like chant). In interreligious dialogue, there are some new things under the sun. This month Encounter is thrilled to launch a new project with no geographic bounds. Specifically, the Centre is launching a Youtube series called Religion In A Minute. JW Windland, the Centre’s founder, accumulated about 700 religious items, some purchased, some gifted. We still have quite a collection. The series will feature short 1-2 minute explanations of a given item, including what it tells us about the tradition, about religion generally, or about us humans. We hope the series will intrigue educators and the general public. Two decades ago, when I left my venture capital job ostensibly to pursue a teaching career I chanced upon JW Windland. I offered some help for his Discovery Week program. But as we entered Sikh gurdwaras and Mormon churches, engaged in Daoist Tai Chi and Zen meditation, met imams and priestesses, I was blown away by the communities, practices, and people who confronted me. Encounter continues to carry on its founder’s vision by entering spaces others do not (we are still unusual in visiting Wiccans, Rastas, and Hasidic Jews) and by trying to create moments where hosts exclaim, “Look at all the white people!” while grabbing their cameras to show people back home. By listening to each other’s stories, entering each other’s sacred spaces, and observing our varied practices as we get to know one another, we humanize each other, and oddly learn more about ourselves and this crazy thing called humanity.